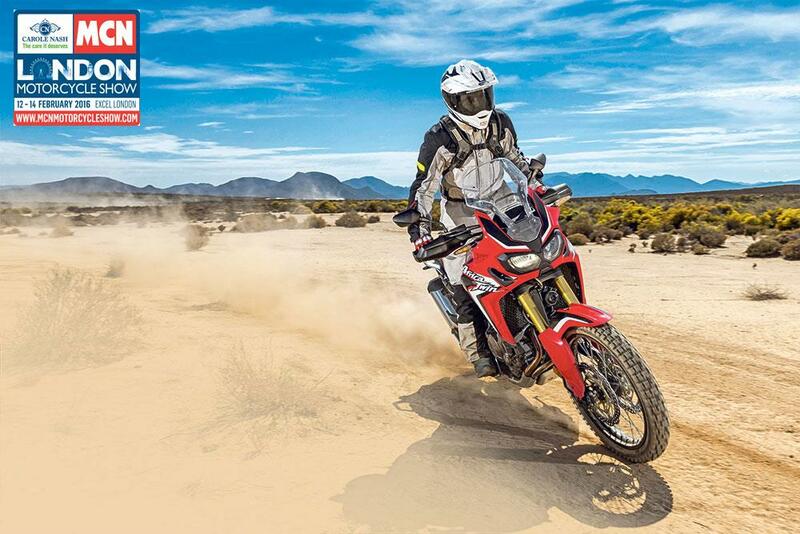 Honda’s new-for-2016 CRF1000L Africa Twin scores high in the all-important looks department, with the front fairing, lights and rear end all screaming ‘off-road adventure’. This is no obese grand tourer styled to look like a macho enduro bike, the Africa Twin’s sporting and adventure credentials are clear even at a standstill. On the road, the first impressions are of comfort, lightness and refinement. It feels seriously comfortable, the seat is spacious, as is the relation to the foot pegs, meaning that there is plenty of room for 6ft plus riders. Yet the bike itself has an impressively low seat height meaning that at 5ft 10in tall I can put both feet flat on the ground at a standstill. This was part of Honda’s design brief to make the bike as manageable as possible and has been achieved through integrating the oil tank and pump within the bottom of the crank case, which in turn reduces the overall height of the engine, resulting in a lower perch. The seat itself is also particularly narrow where it meets the fuel tank, which means as a rider your legs aren’t splayed wide like they are on a BMW GS. But move back on the seat and it gets wider, which is key to the high levels of rider comfort on the move. The handlebar position feels neutral yet purposeful and immediately gives great leverage, control and inspires a high level of confidence. The engine offers smooth, linear power. The impeccable fuelling and throttle connection making for assured and rapid progress, but the 94bhp motor fails to truly inspire. It lacks the bottom and mid-range engagement of the 125bhp BMW GS boxer twin, and doesn’t have anything close to the top end rush from KTM’s ballistic 150bhp 1190 Adventure. But that is not to say it’s a slow bike. It has a decent torque figure of 68.6ftlb, and through the confidence-inspiring throttle-to-rear tyre connection it means that it’s easy to access every bit of the power on offer from the new engine. Despite significant 230mm suspension travel from the beautiful 45mm Showa USD fork, and 220mm travel from the rear to cope with off-road riding, the bike still feels solid and planted on the road. Even when heading off the pristine tarmac and onto the dirt, and despite riding on the road-focused Dunlop Trailsmart tyres, there’s an overwhelming sense of stability and composure, whether stood up or sat down. Then we made the switch to off-road biased Continental TKC80 tyres and hit the African trails. After ascending a loose, rocky climb we tackled a demanding 10-mile loop made up of high-speed sections, deep sand and rocks, which allowed us to assess the capabilities of the bike in a technical off-road environment – in which it truly excelled. In terms of off-road capability Honda have excelled. In a class dominated by manufacturers obsessed with producing ever larger capacity bikes, the Africa Twin is a breath of fresh air. It’s a true adventure bike, even in its automatic transmission DCT guise, with all the ingredients to take a novice or expert rider wherever they may want to go, whether that’s on-road or off it. Triumph have given their Tiger Explorer range a significant mid-life refresh for 2016, and have also added two extra variants to the line-up – the XR and XC. Many of the changes to the bikes are common across the whole six-bike range but Triumph have attempted to split the bikes into those that are completely road orientated (XR) and those that offer a little more off-road ability (XC). All models share the same 1215cc inline, three-cylinder, 12-valve motor with shaft drive, but Triumph have tweaked the engine for 2016 to make it compliant with Euro4 emissions and noise regulations. 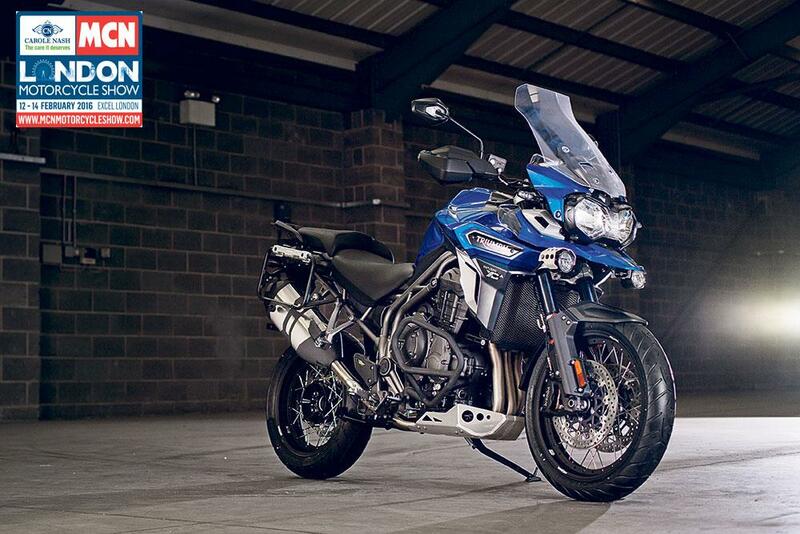 In line with the smaller-capacity Tiger 800 range, Triumph have deployed half the alphabet in order to differentiate the six variants of the two separate models. 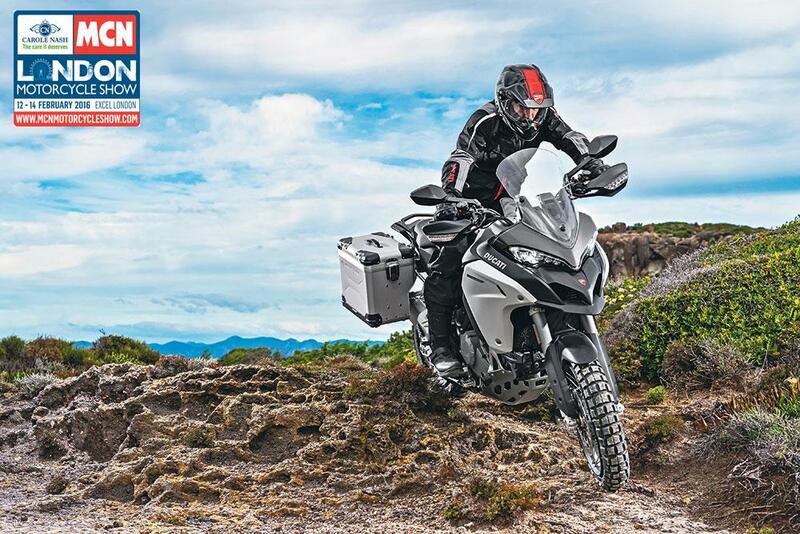 The road-focused models are XR, XRx, XRt and the more off-road capable machines are dubbed XC, XCx and XCa. All feature a host of technological upgrades aimed at increasing stability and control. Those features include new semi-active suspension – a first on a Triumph – cornering ABS, traction control, four pre-set rider modes as well as an additional mode that the rider can adjust to their own preference. The two entry-level models in each range – XR and XC – get conventionally adjustable suspension supplied by WP. The other four come with Triumph Semi-Active Suspension (TSAS), which allows the rider to electronically control the adjustment of the front and rear suspension damping and automatically adapts the rear shock preload settings to match the surface. The ABS system has been updated too. The entry-level models get switchable ABS and traction control while the remaining four models are fitted with more advanced cornering ABS and traction control. These four models are fitted with an Inertial Measurement Unit (IMU), which uses a bank of sensors to measure five axes of movement including lean angle, acceleration and deceleration to ensure the traction control and ABS work to the best performance. Additionally there is now the option of Hill Hold Control (HHC), which electronically holds the brakes on to steady the bike for a hill start; handy when riding a big adventure bike on uneven surfaces. For the first time in the Multistrada’s history, there’s a dirt-loving version, the Enduro, and in terms of off-road ability it’s the most extreme Multistrada yet seen. Changes include a larger 19in front wheel, 30-litre fuel tank, wire-spoked wheels, extended front beak for increased rider protection, modified front mudguard and new anodised aluminium side panels. The Enduro gets the same 1199cc version of the Desmodromic Variable Timing (DVT) motor released earlier this year in the standard Multistrada 1200 and S models, which works to smooth the power delivery of the big V-twin motor at lower rpm. Further work has been carried out on the bike with a modified riding position to make off-road riding easier, the handlebars set higher, the seat made narrower, steel footrests fitted rather than aluminium, a height-adjustable rear brake lever is now fitted and the gear lever has a coupling to prevent it getting broken in a crash. An aluminium sump guard now protects the engine from rocks and debris. A narrower pillion seat and lower Plexiglass screen are also available to make stand-up off-road riding easier. As standard the Enduro version comes fitted with off-road capable but road-focussed Pirelli Scorpion Trail II tyres in 120/70/19 up front and 170/60/17 at the back. 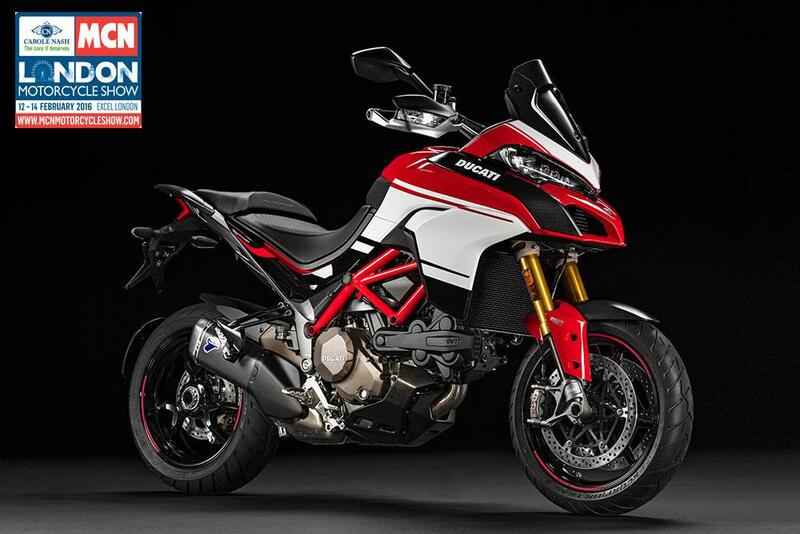 The Multistrada Enduro will cost £16,690 in red, or £16,890 in grey/white. The Pikes Peak edition returns with Termignoni exhaust system, special paintjob, mechanically adjustable Öhlins suspension, different three-spoke wheels and an array of carbon fibre parts. It also gets the DVT engine, and is the most sport-focused Multi in the line-up. This range-topping edition has been released in celebration of the firm’s notable successes in the Pikes Peak Hill Climb in Colorado.